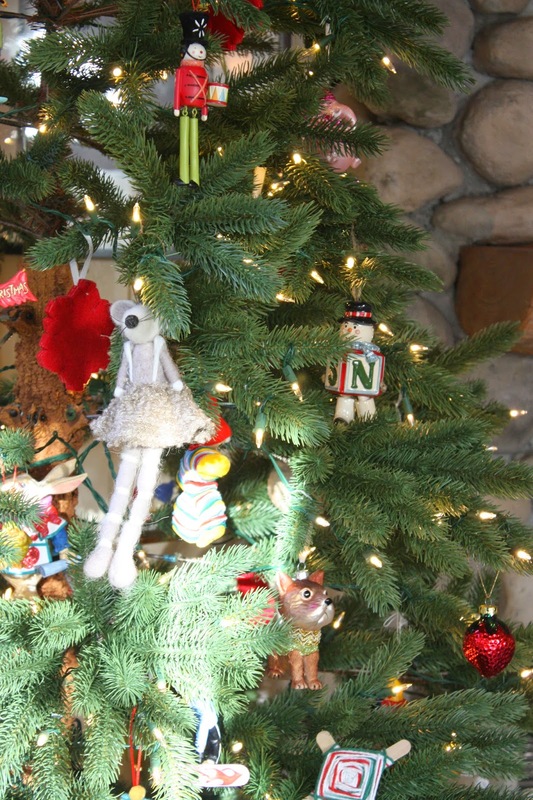 I wanted to share with you a little bit about our trees in our home this year. We always go back and forth between faux and real. I love the smell of real trees but I always like to put my trees up early, and by Christmas they are so dry it's a fire hazard. Savannah did insist on a real tree, so her room got a mini one. 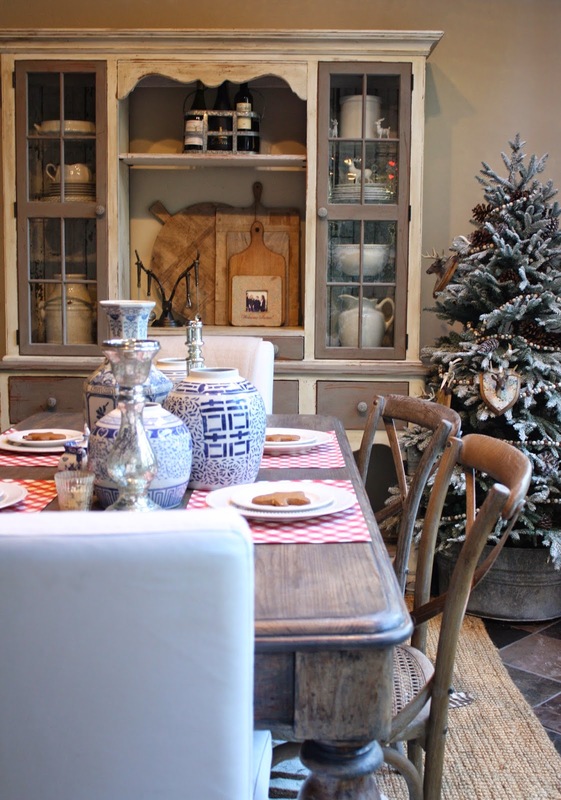 But 3 other trees went up, all from Balsam Hill and I love them all because they look so real! 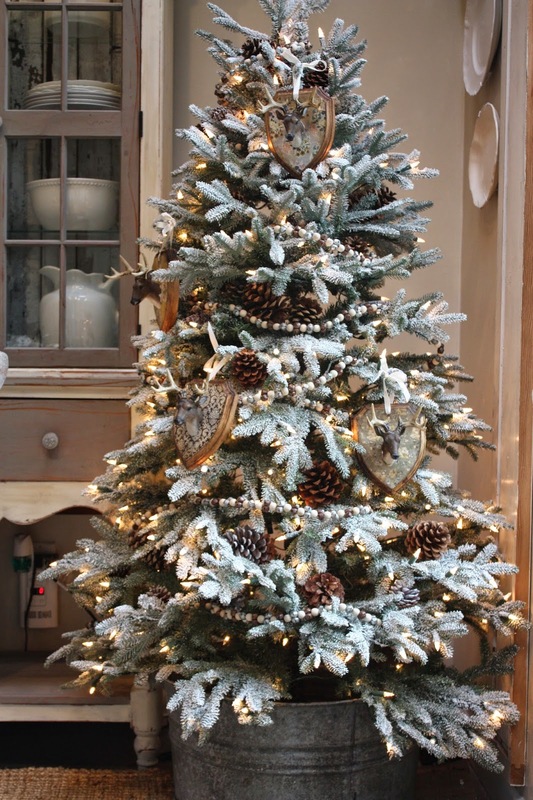 Our Frosted Frazier Fir is 5 1/2' tall and I placed it in a big vintage galvanized bucket with wooden handles. 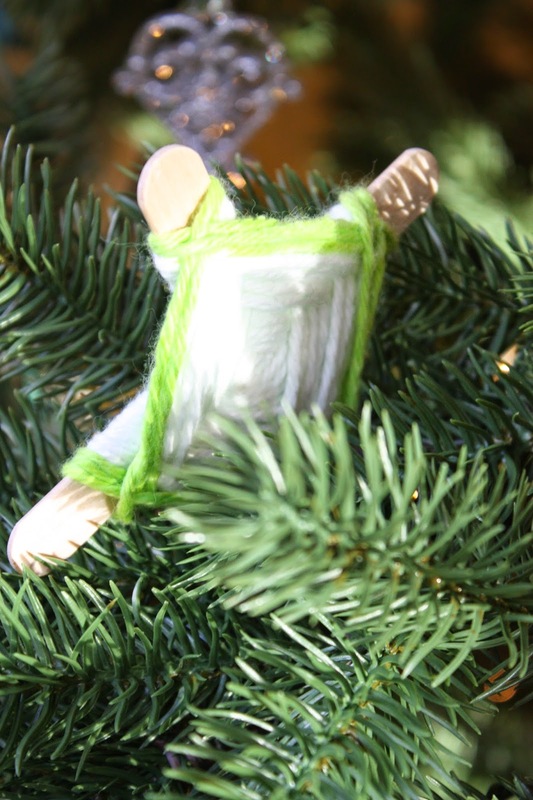 To see how I made these deer ornaments, click here. 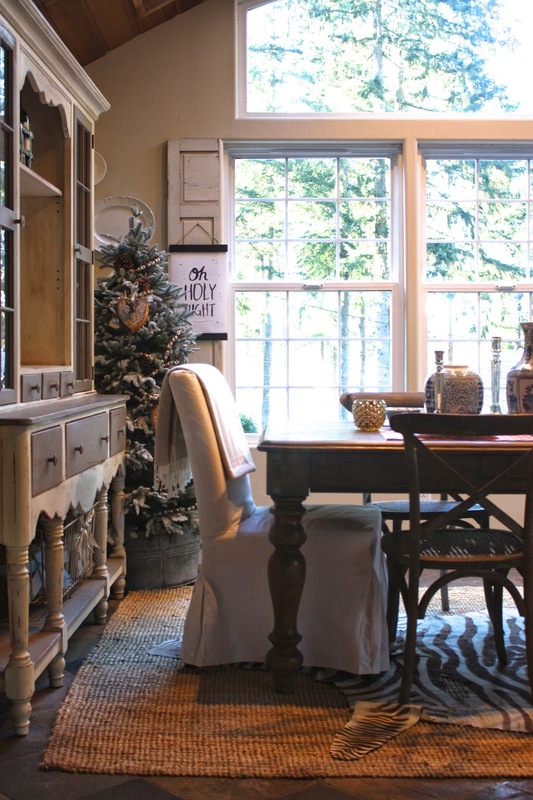 Off of the dining room is the living room. For this room I selected the Castle Peak Pine tree. It's 7 1/2' and has white candlelight LED lights. This room is the kids tree. They decorate it with ornaments they have made and ornaments they have collected over the years. This tree isn't very full. It has a realistic looking trunk which I love, so for me, the sparseness doesn't matter. I like to pack it full of ornaments anyway. The third Balsam Hill tree is in our master bedroom. It is called the Nordmann Fir. Again, I got it with white lights. I just love white lights. They do have a cool feature though that has both colored and white lights, which allows you to switch between the two. 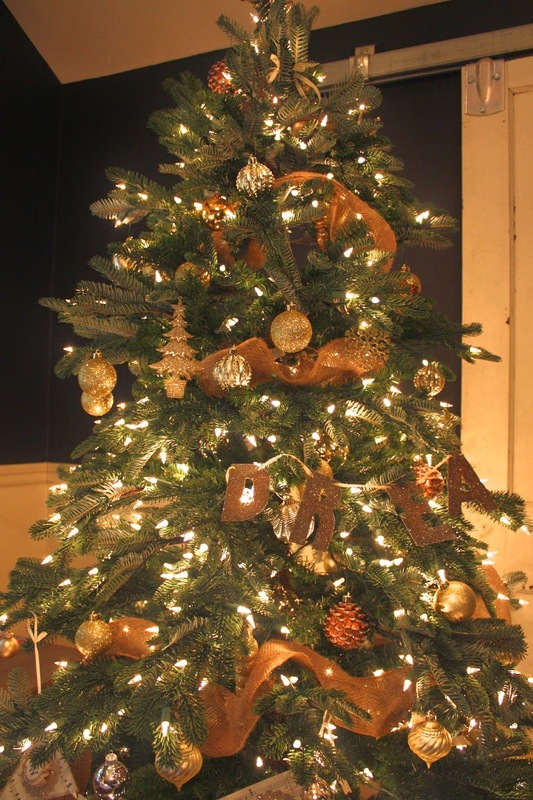 I decorated this one all in gold and silver, with touches of burlap ribbon. I love the generous amount of lights they use. 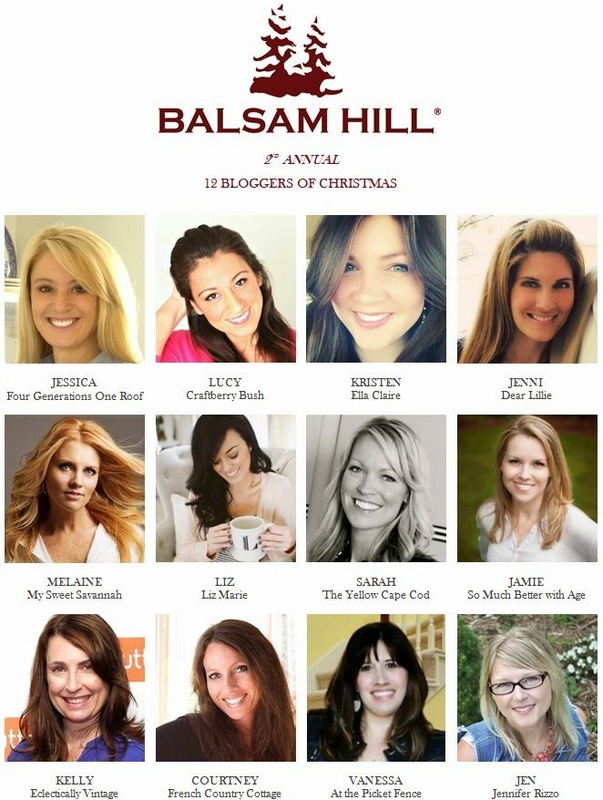 I am participating in this series with 11 other talented bloggers. Be sure to check out their trees as well! I'm not kidding when I say that guests who have been over have had to physically go touch the trees to see if they are real or not. No joke, they are that realistic. Oh, and did I mention they each come with their own storage bag and gloves for set up, which by the way takes less than 10 minutes. Offer expires 12/22, so hurry! Awesome, I was almost going to get one this year but the budget just did not allow this year but I will watch for them next year for sure! Just for the same reason you stated I have been looking at these trees. Thank you for the close up shots - they do look so real. I will be ordering one of these so thank you for the coupon code. Gorgeous! My husband has promised me one for our living room next year. I'm absolutely holding him to it. They are beautiful trees. Thanks for sharing! The Trees are Beautiful ! We Live in a Christmas Tree Community so I buy Local but these are fabulous Trees. What a wonderful way to display all of your trees. 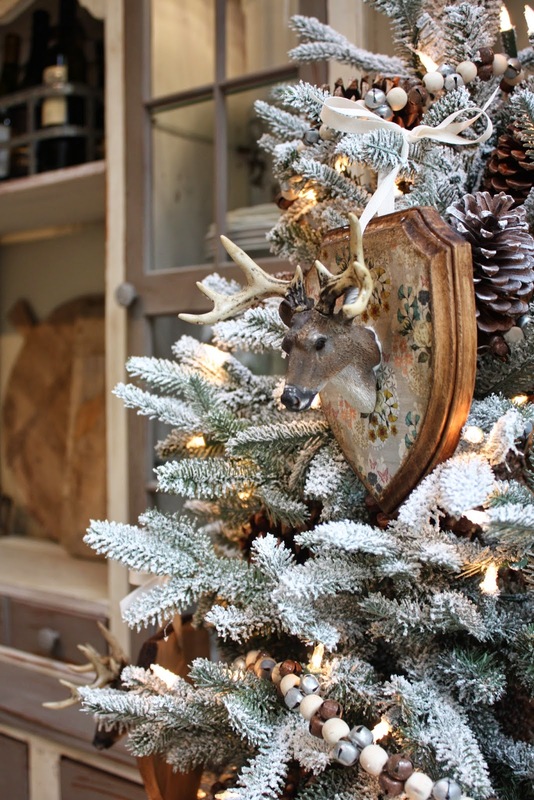 Love the flocked in the dining room and the deer ornaments look fab on it. 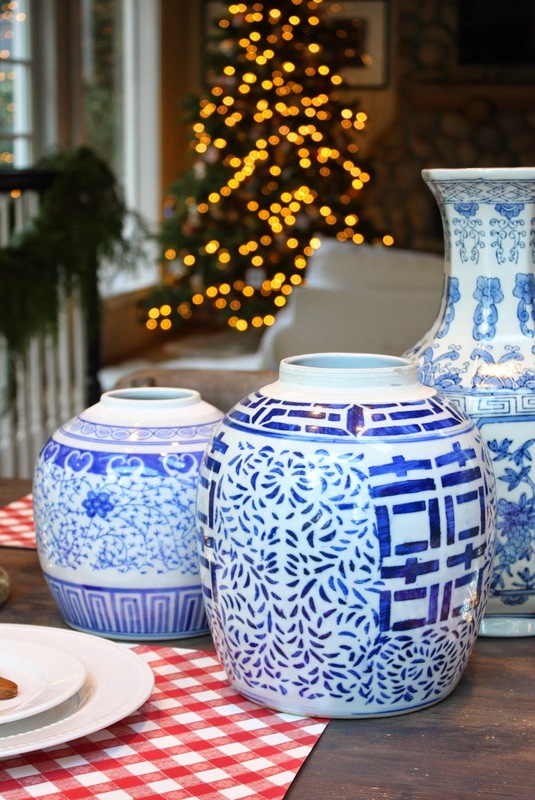 Its a soft subtle way to bring Christmas to the dining area. 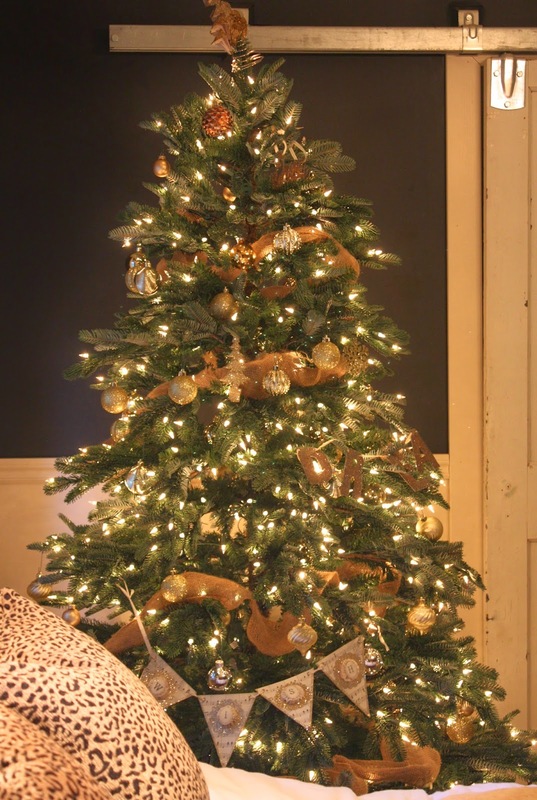 The tree in your family room area , Castle peak does look so real with the ornaments placed around. Looks like your truly just brought it in from the forest. 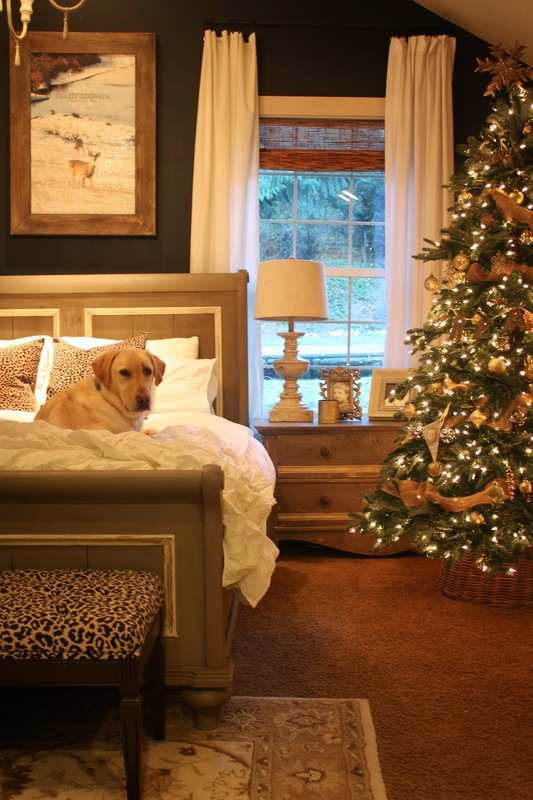 I love your Master Bedroom tree. 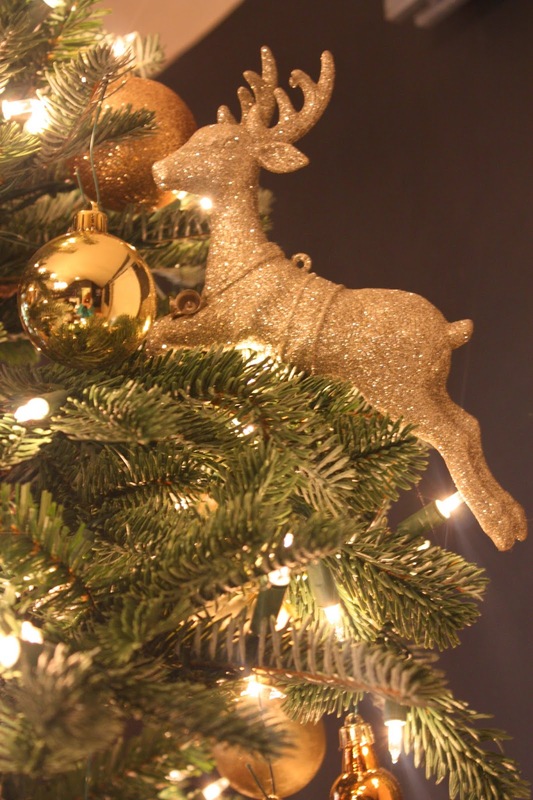 I tend to like the sparkle and shininess of metallic to make it look Christmassy. Such a great idea to have more than one tree. The set up is so much easier not having to find cords and plug them and attach them. Enjoyed the viewing of your trees in the house. Thank you for your time in sharing them. I love your tree, Melaine! It's gorgeous and I actually love the size of it in your dining room in that bucket. 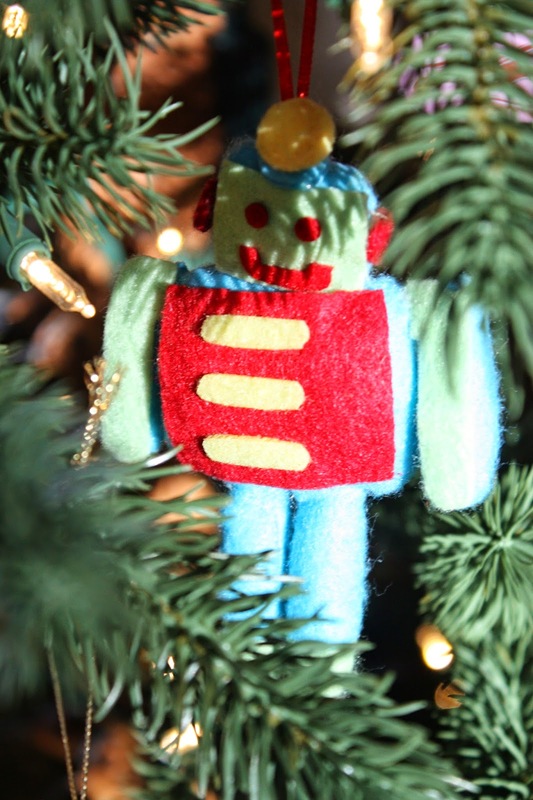 So may different styles for Christmas trees- all personalized.